He had read the Institutes Mission Packet and was now interested in ways he could help. Little did we know, at Wisteria, serious conversations are held over even more serious tea. Hong Yin in this case. This was the ‘paperless’ Hong Yin from the menu, and, though lacking a wrapper, it didn’t disappoint. I will avoid the is-it/isn’t-it debate, and leave it at the (unsatisfying) response that it is a mistake to clump all “Hong Yin” together as cakes were made over the course of ~8 years and there were 4 different versions produced. This being the only Hong Yin I have tried, I can’t compare, but I have had many teas of similar and older age, and this one blew them out of the water (save for 1, the pride and joy of the Institute). The most surprising thing was its initial underwelming-ness in the first brew (no rinse). I had some doubts to start (as anyone drinking Master Era cakes should), and that only amplified it, before this tea reached back and yanked my mind out of my skull by the brain stem before I could finish my 2nd brew’s cup. How am I suppose to talk about the Institute when I’m Okapi hunting from the back of a magic tea jassid lofting on hong yin fumes? Besides the ChaQi, of which there is no besides, the most griping flavor of this tea was the effervescence I associate with older plants or aged leaves, and a lasting lengxiang that not only felt cool, but felt titillatingly pure. The soup was dark, and one could describe it as burnt brown sugar, the kind you want to eat. 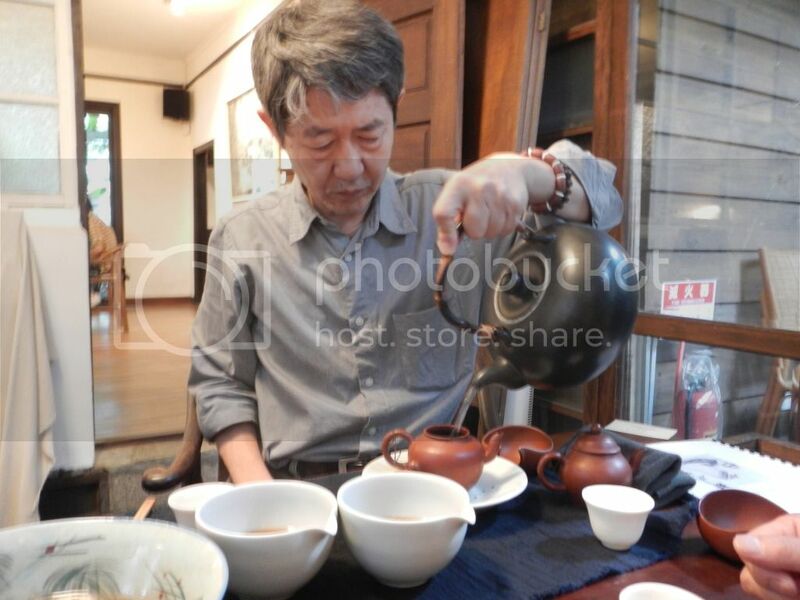 To be sure, this was not the best tasting tea – but it was among the best feeling tea, in Kou Gan and ChaQi. I’m out of time and need to park my jassid.